As modern technology changes rapidly we find ourselves making a huge variety of media housing units. This was one of the more unusual ones we made recently. 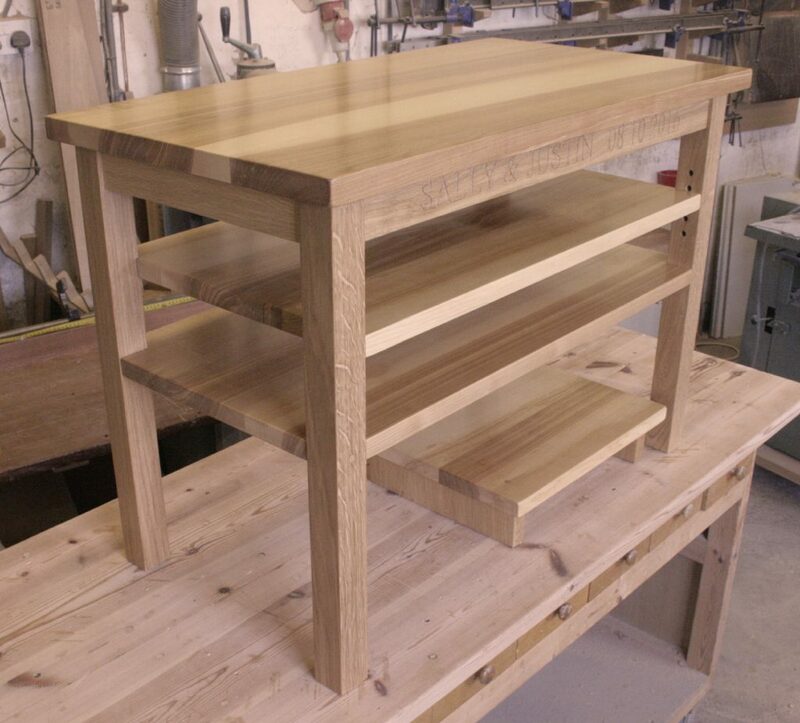 The frame is made from oak with all the tops and shelves being from ash. The small unit below is free standing. 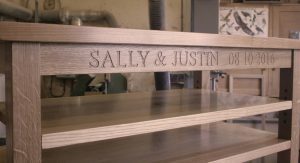 Any commissions can be personalised with an engraved or carved inscription. 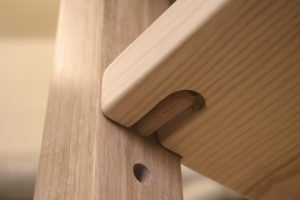 The middle shelf is adjustable and supported on four dowels, which are recessed into the underside of the shelf to give a clean ‘floating’ appearance. 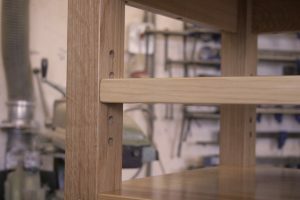 This type of attention to detail and the combination of two timbers demonstrates the benefits of comissioning a special piece of furniture from us, the choice is endless.